Set in the grounds of the Tower of London this year’s TJ Awards were held, where our latest lady Barbara was asked to be a judge. As all eyes would be on her, she wanted to go for something that was glamorous and fitted, but not too revealing. This lace fishtail dress did just the trick, with a structured bodice and overlay of netted lace, and a slight train at the back for that little bit of extra oomph. This glam red lace evening dress keeps it feminine and suits her shape beautifully. Many ladies kept it classy wearing black on the night, but Barbara was overjoyed that she had chosen something different to stand out as a judge. 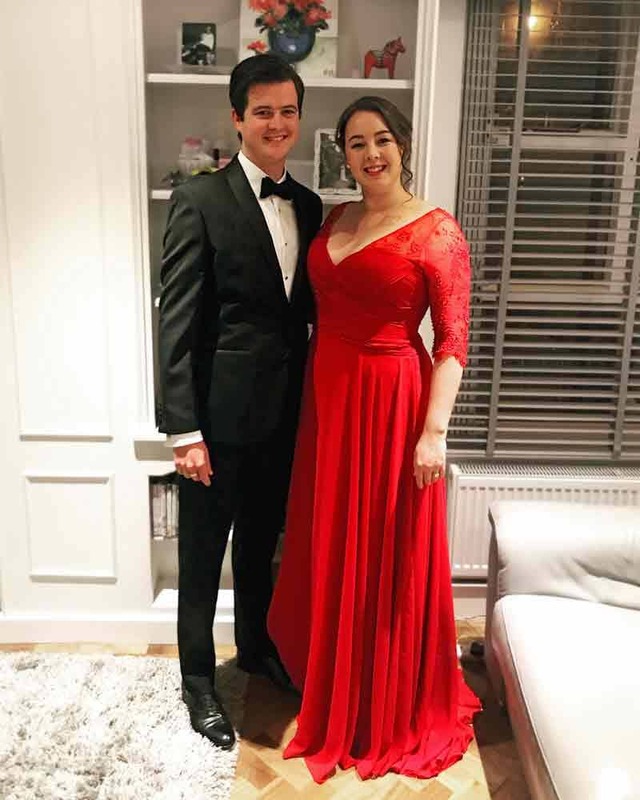 Gorgeous Grace was being presented to the Duke and Duchess of Cambridge at this year’s Tusk Conservation Awards, so we had to help her find the perfect gown for this special occasion. This beautiful ballgown, chosen our client in which to deliver an important speech to a group of businessmen in the airline industry. 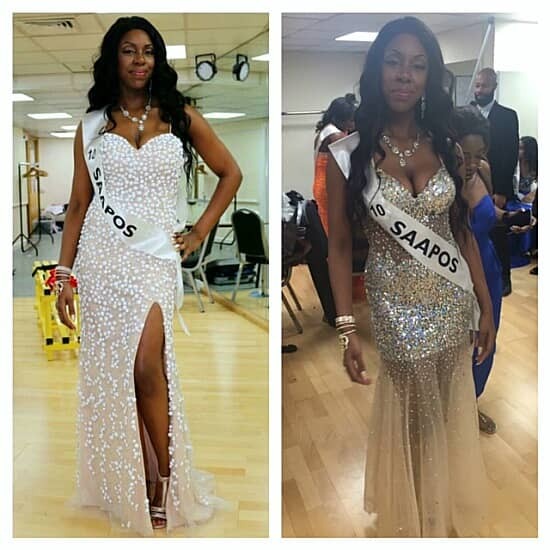 The gown made her feel full of confidence and she gave a memorable performance. The gown has full tulle petticoats beneath the black taffeta skirt. Both the bodice and skirt are partially beaded with jet and silver beads. A night to remember in Monte Carlo back in November. 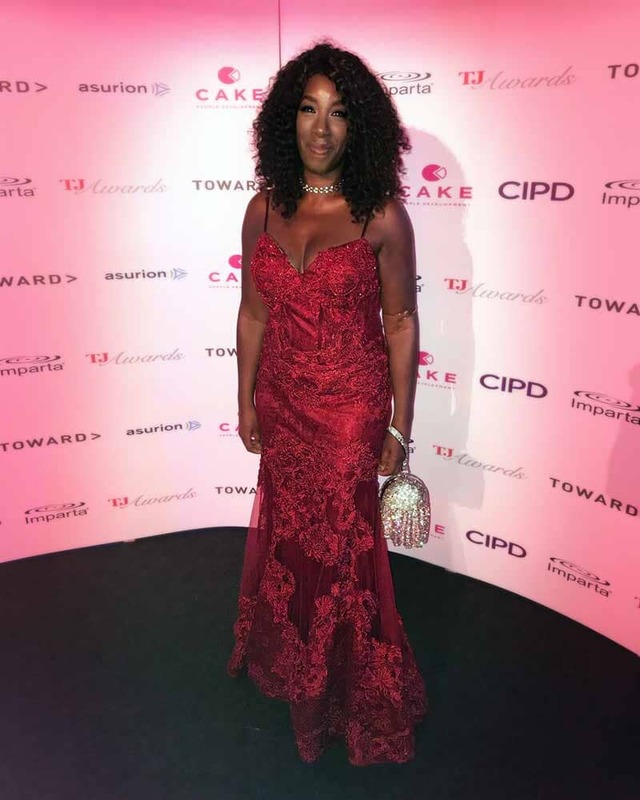 Our client presented at the Sports Personality Awards wearing a unique raspberry lace long sleeve gown with a see-through flesh-coloured tulle underskirt. Available to hire in a UK6. 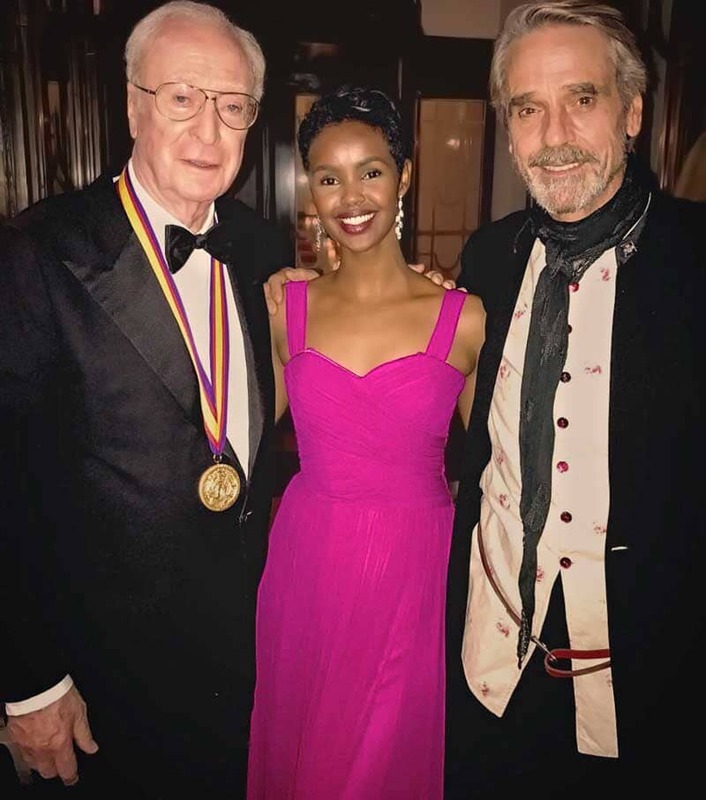 Our beautiful BAFTA winner! Holding her BAFTA award and wearing a form-fitting strapless, black jersey evening dress with eye-catching gold detailed bodice. 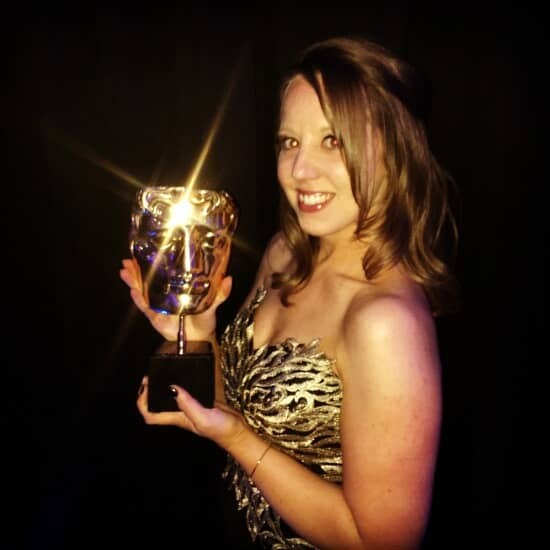 Lucie’s team won the BAFTA for The Ashes, Sky Sports. 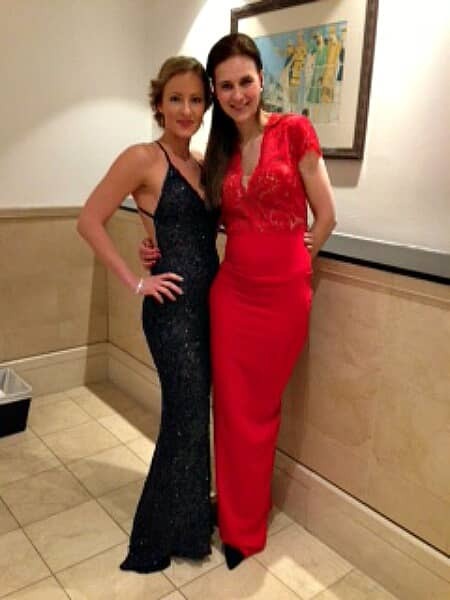 Our beautiful clients here, Gina (left) and Marlen (right) wore their dresses to a Hotel Industry Awards ceremony, at Grosvenor House earlier this month. Gina is wearing our deep petrol allover sequin, strappy backless gown, and Marlen wears a tomato-red dress with lace bodice, jersey skirt and bustle back detail. 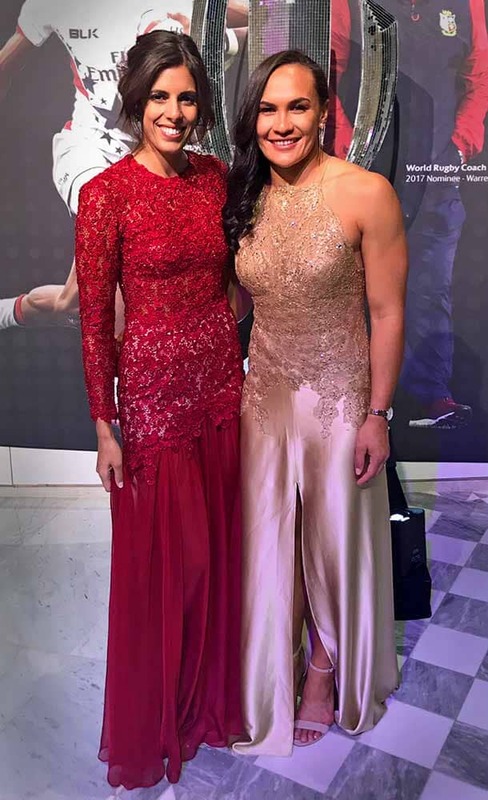 Here’s the gorgeous Natalie Pinkham, wearing one of our gowns to the Jaguar Academy Of Sport Annual Awards, earlier this year. A few kind words from her to us. “One Night Stand has a wonderful collection of dresses and jewellery, you are guaranteed to find the perfect frock for a special occasion. They are very friendly and helpful with styling tips. Plus the resident cat Yoda always loves a cuddle!